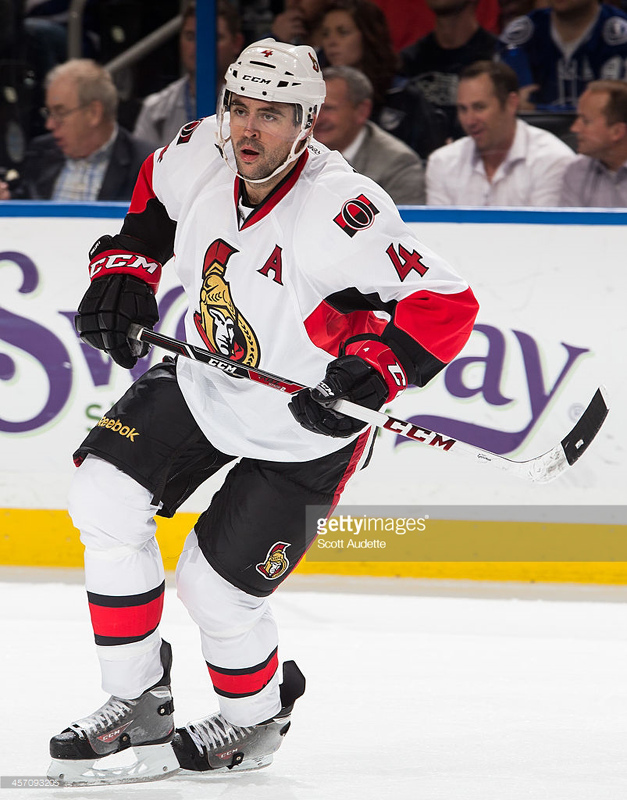 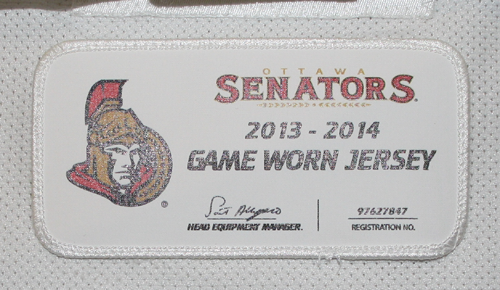 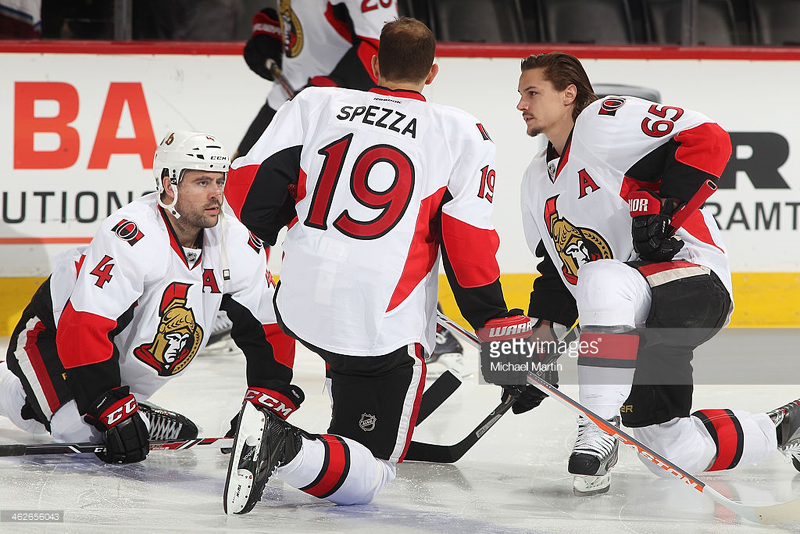 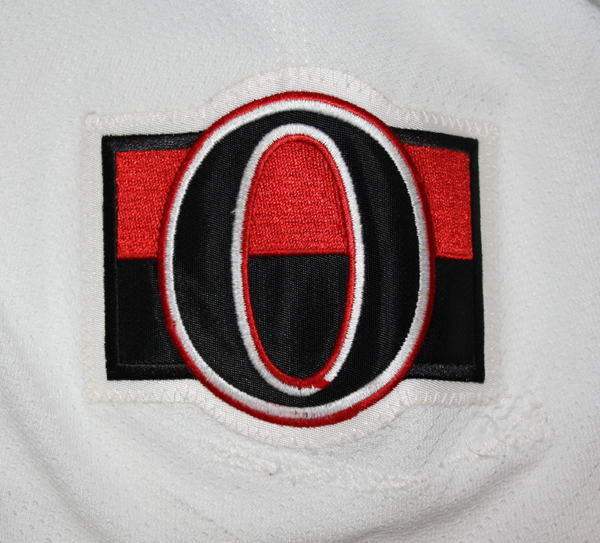 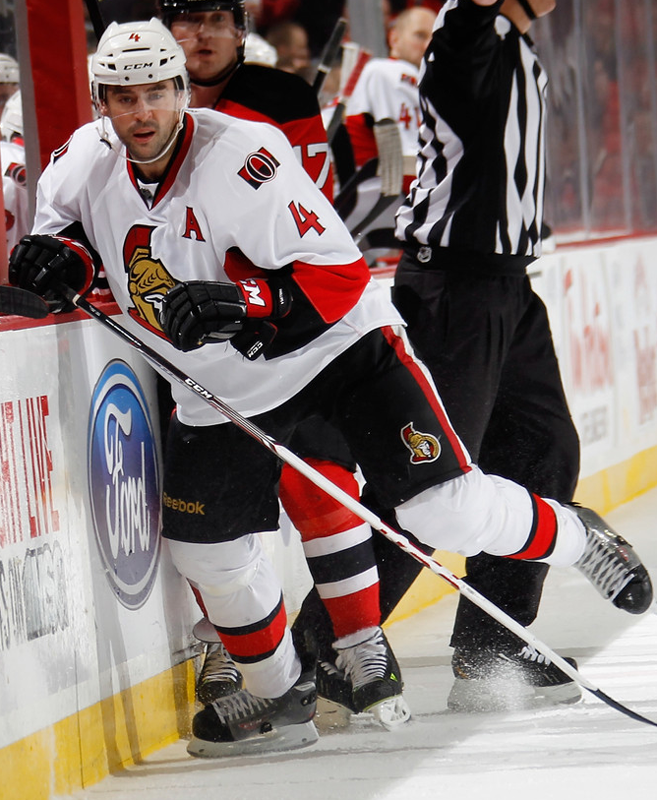 This jersey was worn by Chris Phillips of the Ottawa Senators during the 2013-14 season. 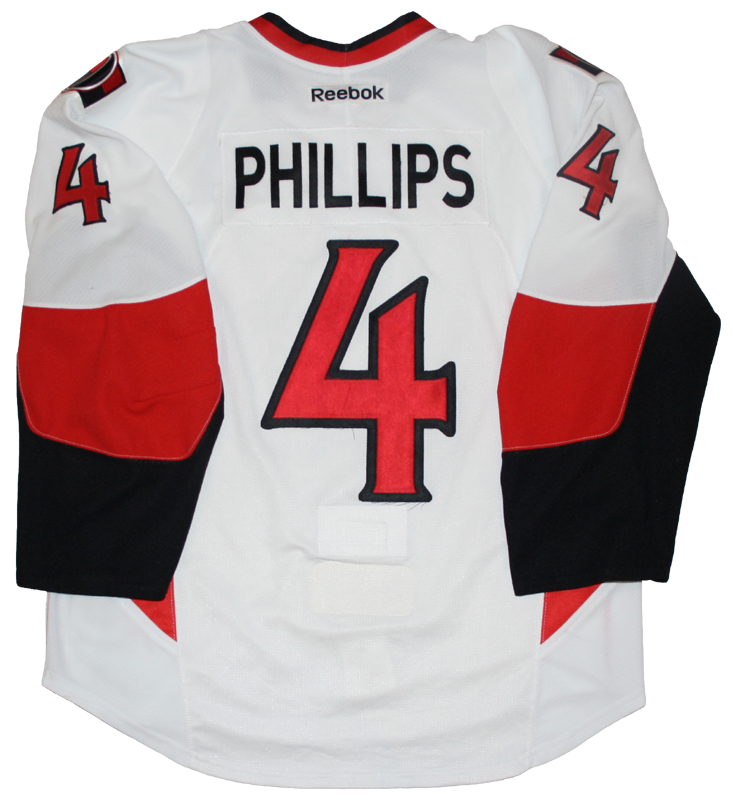 Phillips wore this jersey for 13 games and recorded 4 points over that time. 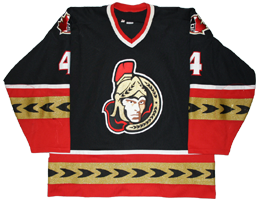 Phillips scored his only goal of the 2013-14 season and the final goal of his NHL career in the first game that this jersey was worn, November 27, 2013 vs. Washington.